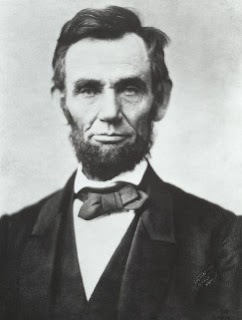 But did you know that in 1863, Abraham Lincoln actually declared Thanksgiving Day twice? Today is a holiday that's seldom celebrated in New York anymore: Evacuation Day, the commemoration of the end of the American Revolution. On November 25, 1783, George Washington led the victorious Americans into the city and the final British troops evacuated, giving the holiday its name. In Union Square, take a look at the magnificent equestrian statue of Washington that stands at the 14th Street end of the square. This statue, by Henry Kirke Brown, depicts Washington riding into the city on Evacuation Day. 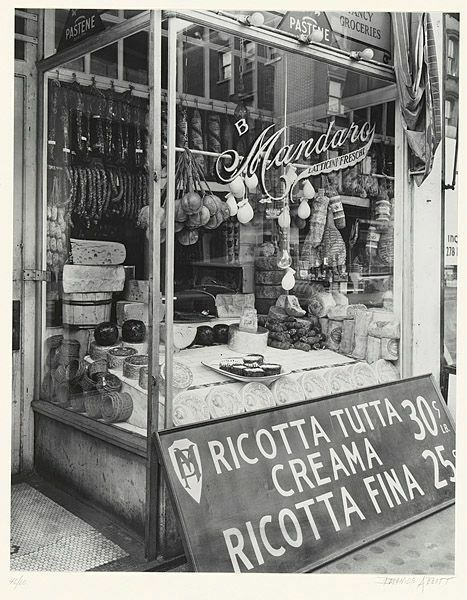 Inspired by "Renters Week" over at our favorite real-estate blog, Curbed (where, among other things, you can read jealously about $50 rents in the 1940s), we began thinking about a form of residential living that was once ubiquitous but has really fallen by the wayside: the boarding house. Throughout most of the nineteenth century, tenants in New York City were divided into three basic categories: renters, lodgers, and boarders. Though these terms were used differently by various people, in general, renters paid for their own apartment, which was not shared. Lodgers paid for a room (or bed) in someone else's apartment, but received no meals. Boarders had both a room and meals, usually breakfast and dinner. As we've been researching and writing our new book, Footprints in New York: Tracing the Lives of Four Centuries of New Yorkers, boarding houses keep popping up. 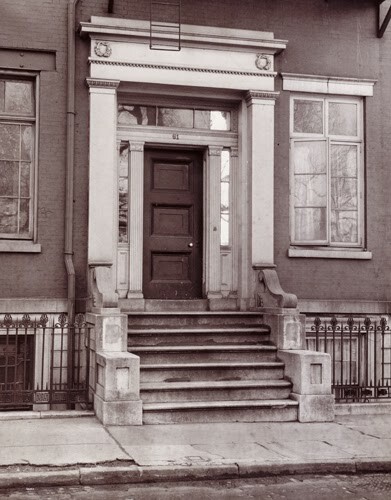 Footprints has a chapter on Edgar Allan Poe, who lived exclusively in boarding houses during his time in New York until he moved into his final home, Poe Cottage in the Bronx. 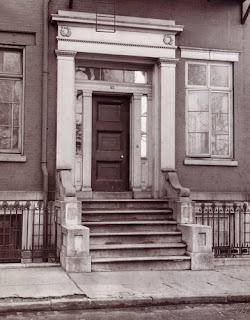 Many other New York authors lived in boarding houses, as well: Herman Melville was born in one on Pearl Street in 1819; Walt Whitman lived in them most of his life; and on Washington Square, the so-called "House of Genius" (later torn down by NYU) was the residence of such luminaries as Willa Cather, Stephen Crane, Theodore Dreiser, and O. Henry. 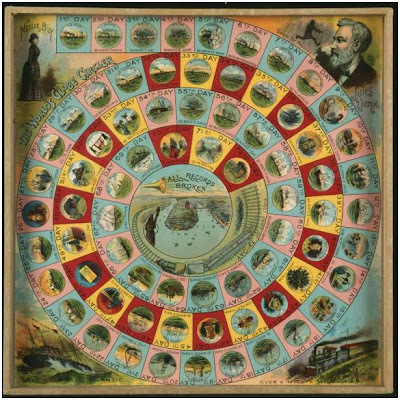 But it wasn't just writers--by some estimates, as much as thirty percent of New York's population by the middle of the 19th century lived in a boarding house. That included, before he was married, John Jacob Astor, who'd go on to be America's richest man. Astor actually married his landlady's daughter. In 1857, the first (and only?) contemporary study of boarding-house life came out, The Physiology of New York Boarding-Houses by Thomas Butler Gunn. This slightly ironic guide features 30 different types of boarding house, including "The Cheap Boarding-House," "The Fashionable Boarding-House Where You Don't Get Enough to Eat," "The Theatrical Boarding-House," and "The Boarding-House Where There Are Marriageable Daughters." In his introduction, Gunn noted the necessity for such a work--everyone eventually ends up in a boarding house. "Like death," he wrote, "no class is exempt from it." In some respects, what has replaced the boarding house in New York is the apartment share; people who were boarders in the nineteenth century would be roommates today. There was a sense of camaraderie around the communal table in New York's boarding houses that influenced life in the city; even with all the over-sharing on social media today, the city today lacks the intimacy of boarding-house life. However, not everyone in a boarding house was happy to be there. A few weeks ago, we posted an excerpt from Edith Wharton's short story, "Mrs. Manstey's View," which talks about one woman's life in a boarding house. It was a theme Wharton (who is also featured in Footprints in New York) would return to, perhaps most famously in House of Mirth. In that novel, Wharton chronicles Lily Bart's descent from high society to abject poverty; at the end of the novel, Lily is living in the worst room in a boarding house--it's not even a real room. It's the end of a hallway that's been partitioned off so that the landlord can make a little extra money. 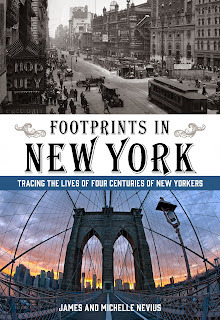 Footprints in New York will be out on April 15, 2014, but is already available. (Visit www.footprintsinnewyork.com for more information.) 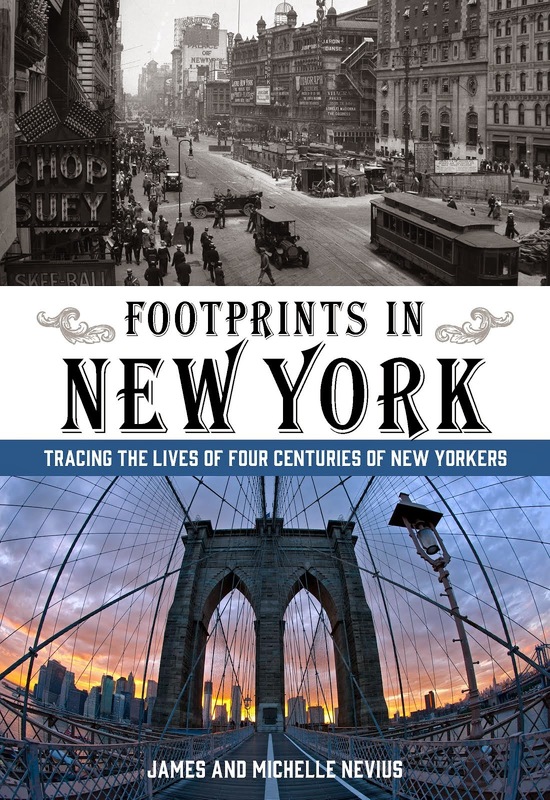 We also have a Twitter account (www.twitter.com/FootprintsinNY) where we tweet links to stories about the city and you can follow the book on Facebook at www.facebook.com/FootprintsinNewYork for more information about book talks, tours, etc. New York City has gone by a lot of names: New Amsterdam, Manhattan, the Big Apple, Fun City (that was John Lindsay's idea to draw tourists). But did you know that for one year it was officially called New Orange? This weekend marks the 339th anniversary of the end of our second time being a Dutch city. [Charles II's] ministers—notably his brother, James, Duke of York—had great territorial plans for the New World, which included complete English control of the area from Boston to the Carolinas. Hostilities had flared in 1652 during the First Anglo-Dutch War, but New Amsterdam didn’t really begin to feel the pressure until 1664, when Captain John Scott from Southampton, Long Island, asked English citizens in New Netherland to proclaim him the “President of Long Island,” serving as a proxy for the Duke of York. For many, this was the first they knew that the Duke had any designs on the area. To conquer New Amsterdam, the Duke dispatched Richard Nicolls.... Nicolls was given four ships, approximately six hundred soldiers, and instructions to keep New Amsterdam as intact as possible. He was, in effect, to treat the mission more like a hostile takeover by a rival corporation and less like a military attack. 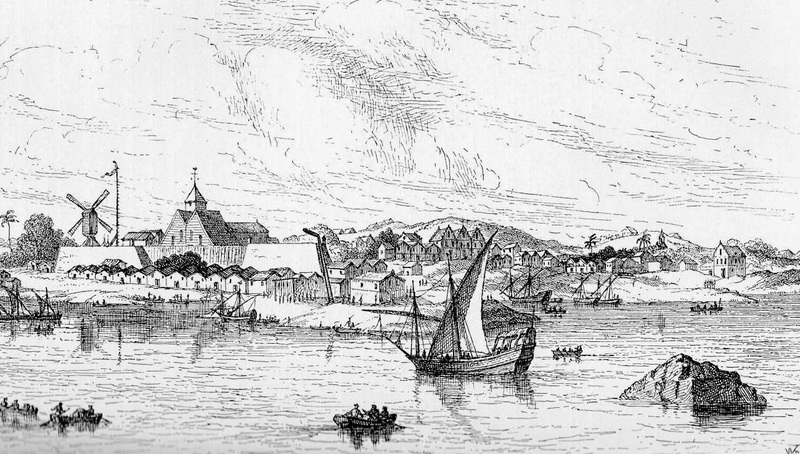 Nicolls was able to seize New Amsterdam without firing a single shot; the town was renamed after its patron, the Duke of York, and gradually the city began to switch over to English rule. However, in the spring of 1672, hostilities broke out between the Netherlands and England, leading to a Third Anglo-Dutch War. 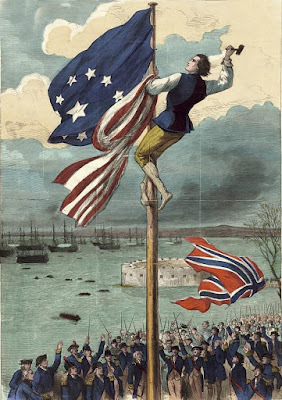 In September 1673, the Dutch navy seized Manhattan from the English -- this was one of the only parts of this Anglo-Dutch War to spill over to the American colonies -- and soon Anthony Colve was declared its new governor. Colve renamed the colony New Orange after William of Orange, the stadtholder of the Netherlands. Luckily for Colve, so little had changed in Manhattan since the English takeover in 1664, that he didn't have to dismantle the apparatus of English governance. Many Dutch colonists still resided in New Orange -- some welcomed Colve with open arms; many probably shrugged and waited for the other shoe to drop. It dropped on November 10, 1674. Hostilities between the Netherlands and England had ceased in the spring and a Treaty of Westminster, ratified in March, gave Manhattan back to the English. However, because it took so long for word to travel across the Atlantic in the seventeenth century, Colve did not end up surrendering New Orange until nearly eight months later. The city once again became New York and the Dutch never made territorial claims in North America again.